Located on the sheltered leeward coast of the island, between Castara Bay and Parlatuvier Bay. It is considered the island’s most beautiful beach of all, yet it is rarely crowded. It is almost entirely enclosed with two forested headlands protecting the calm crescent-shaped waters. This makes it ideal for snorkelling and swimming and the reef is alive with beautifully coloured fish. There is a cafe and limited facilities. 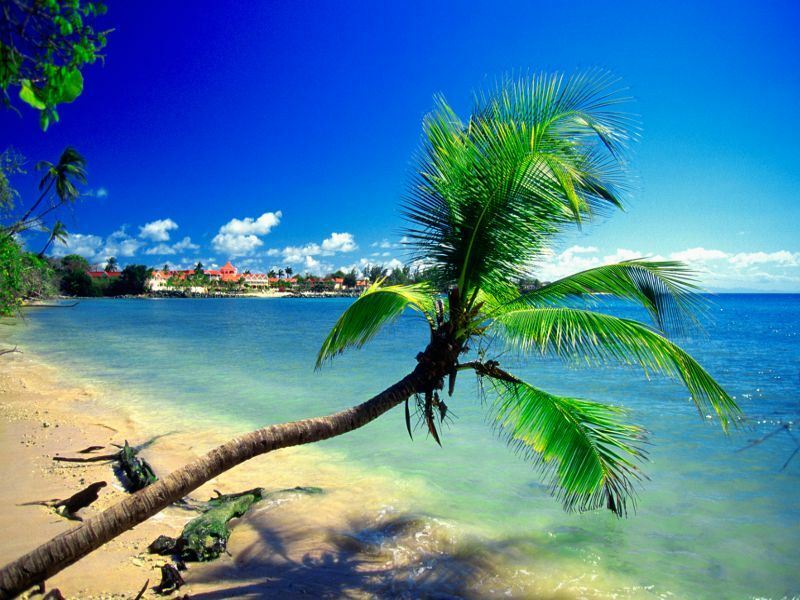 Found on the busier southwest coast of Tobago and is one of the more developed beaches for tourism. There is a small admission fee, several snack bars, cafes and cabanas for rent. Surrounded by resorts, it has a pier stretching out into the bay and is close to the airport. Coco Reef is located between Pigeon Point and Store Bay overlooking its own white sand Coconut Beach. Has pretty sands with local fishing boats resting on the shoreline awaiting the next tide. This long beach has some shade near the restaurant and is renowned for its net fishing. Popular with families as it has shallow waters and a lifeguard. Snorkellers will find excellent reefs running down either end of the bay. From December to March, it is also excellent for surfing at the eastern end of the bay and there is surfboard hire and lessons. There is a beach bar, sunbeds and equipment rental. Offers big breakers for body boarding although there can be dangerous currents. Beyond the breakers, the water is deep and clear for swimming. There is canoe rental, massages and a beach bar but no lifeguard. For self-catering holiday options, try The Villas at Stonehaven. Grafton Beach Resort is set on a hillside overlooking the sandy beach of Stonehaven Bay. This beach lives up to its name as it is a turtle-nesting site between March and September. However, this beach has no shade and it shelves steeply. Accessed from a track beside a small river. It has a steep sandy beach and runs for half a mile, making it good for walking. Surfing is possible off Bacolet Point, but beware of the rip tide. This is the locals’ favourite beach with a casual laid-back atmosphere despite sometimes being quite crowded. It has bigger waves and firmer sand than neighbouring Pigeon Point. Sun beds and umbrellas are available for hire and glass-bottomed boats frequently depart from the beach heading for Buccoo Reef. Shepherd's Inn is located just ten minutes away by foot from Store Bay. The beach is accessed down a flight of steps and has brown sands edged with shady tropical foliage and trees. There is a children’s play area and sun lounger rental from the Blue Haven hotel. See also Bacolet Beach Club. This was once sheltered pirates between attacks, hence its name. It was used as the location for filming the original Robinson Crusoe film and has a pretty sweep of sand with some facilities. The bay has stunning blue water and excellent reefs and is right beside the Blue Waters Inn. A huge sweeping bay incorporating lots of smaller beaches, many of which are only accessible by boat and disappear completely at high tide. It includes a gorgeous small beach at Lover’s Bay, which is good for snorkelling. Tropical Sky client Amanda Wilson says: “My husband and I stayed at at Tobago's Coco Reef and were very impressed, not just with the hotel, the food and high standards of service, but the fact that it totally ticked our box for a relaxing and restful holiday. We were able switch off completely – especially after trying out the hotel’s spa!